It can be really difficult to pick book club books. First, there are the different personalities and reading preferences of the book club members. Then you really do want something that will illicit strong reactions, either way. You want something that isn’t difficult to make yourself read but you want it to inspire discussion. Before book club I always take a look and see if I can’t find some titles that might appeal to us all, that has been tipped as being a good book club pick because something about it made it good fodder for discussion. 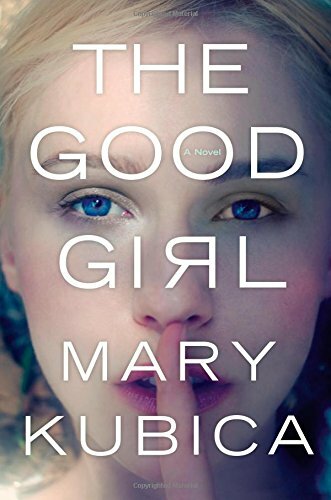 Which is how we ended up reading The Good Girl by Mary Kubica. I had seen it on The Huffington Post’s book section, on a list of books that your book club will love. I don’t think we’d read a thriller before so we thought it could inspire a different kind of conversation. We haven’t met yet but I don’t think this is that book. Before I started reading it, at least one member had mentioned that the book wasn’t gripping them, that they found it difficult to make themselves get on with the reading. Not a good sign. Mia Dennett, a 24 year old teacher and member of a famous Chicago family, goes missing. The story alternates between the memories and experience of her mother, Eve, the search for Mia as told by Gabe, the detective assigned to find her, and that of Colin, the man who takes Mia. Certain chapters are labeled as before or after, depending on whether it is taking place before or after we know what happened to Mia. This is another one of those books that takes advantage of its potential similarities to Gone Girl, which means that you spend the entire time waiting for the twist. When it comes, basically at the very end of the book, my reaction was “huh.” I definitely wasn’t blown away, I didn’t need a moment to collect myself, it certainly explained everything but it just wasn’t massive. It was disappointing that no real inkling had come before that there might have been more to Mia than met the eye. The only hint was that it was compared to Gone Girl but I didn’t think that Kubica herself had laid any kind of groundwork for us. As for the characters, they all seemed dedicated to fulfilling their obligations as set forth by the central casting of books with mysterious disappearances. Eve is in an unhappy marriage, doing everything by rote, berating herself for being a disinterested parent, desperate for any kind of companionship; Gabe, who badly wants to solve this case while the media dissects the whole thing, falls for the attractive and damaged Eve; Colin is a good guy wrapped in bad guy clothes and Mia. Mia thinks she’s in control but mostly seems like she’s in a Stockholm syndrome situation. I wanted to like this book. I wanted to be obsessed with what happened to Mia. But I didn’t really and I certainly wasn’t that invested in the outcome. I’m curious what the rest of the girls made of it. I studied abroad in Amsterdam at the same time that Amanda Knox was in Italy. And we all know how her exchange ended. I remember it happening and being completely positive that there was no way that she could have done what they said she did. I mean, she was my age (I was 22 at the time, I think she’s actually a year or 2 younger than me), going to school abroad. She couldn’t possibly have killed her roommate! I hate to admit that that fascination with Amanda Knox didn’t stay in Amsterdam. I’m less sure if I think she did or didn’t do it. But I still wonder about it from time to time. Because I’m unsure of her actual role in the whole thing, I’m uncomfortable buying her book. 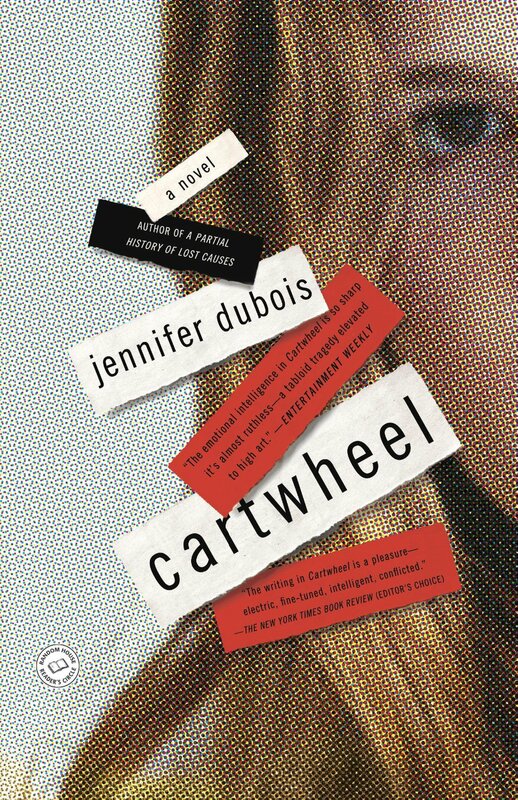 But then Jennifer Dubois wrote a fictional account of the case, Cartwheel, and I felt like that would be OK to read. Despite having been burned by this before, I actively searched out Cartwheel on my next book outing. If you’re already pretty familiar with the Amanda Knox story (guilty I’m afraid) then there will be nothing new in this book. Right down to the DNA on the bra clasp, the weird boyfriend and the libelous accusation that her boss at the bar did it. Only this time Amanda is called Lily Hayes, poor Meredith Kercher is Katy Kellars, and they studied in Argentina, not Italy. Oh and instead of living with roommates in a little bungalow without adults, Katy and Lily have a shady pair of house parents. Lily’s parents and sister come out to support her. And what becomes apparent from the beginning is that Lily has always been a little different, a little wrong. She doesn’t react to the world like people are supposed to – as in she does a cartwheel when she’s being questioned hours after the violent death of her roommate. Again – this detail is lifted from the actual case. And we have to spend time with her oblivious father and seriously angry sister as they work through their shared history, combing through it to see if there’s anything there that proves she did or didn’t do this. Lily is an a**hole. The way she talks to other people like she’s better, and smarter and bored with your company. She sends messages about how boring Katy is. She is arrogant about her Spanish, when those around her recognize that it’s not actually that good and she’s horribly rude to her house mother while she flirts with the house father in front of her. It was hard work getting through this book, mostly because the only good person in it is killed. But also because the whole time you feel like you’re doing something vaguely wrong. Reading a fictionalized account of something terrible that really happened just made me feel like a sensationalistic jerk. Paperback Princess Loves New Paperbacks! I really do. I’m not sure when I started holding out in favour of paperbacks (probably around the time when I realized that being an adult is expensive!) but that’s my general MO these days. So it delights me to be able to bring you all a list of fabulous books that have recently been turned into ready-to-love paperbacks. You know, so that you can start filling up your beach bags and lake totes with great books. So that when you are planning a picnic, you will have a list of books that you can stash in your basket. I’ve been tricked before by news that the paperback version of Gone Girl was going to be released shortly. But now I’ve seen it with my own two eyes so it’s official. Gillian Flynn’s Gone Girl is finally in paperback. Just in time for those of you that still haven’t read it to get to it before the movie’s release this fall. Seriously though, read this book. The follow up to the JK Rowling-as-Robert-Galbraith penned The Cuckoo’s Calling is coming out this June. For those of you that can’t read The Silkworm until you’ve been introduced to Cormoran Strike properly, get thee to a bookstore for a copy of the freshly printed paperback! The other day I waxed poetic about the perfection of the Paris: The Novel paperback and mentioned that Edward Rutherfurd’s previous city novels didn’t share this flawlessness. But then I went to the bookstore and lo and behold! Perfect paperbacks of London, New York and Russka. So if you’re in the market for that most perfect paperback but didn’t think Paris was your style? Now you have no excuse. Remember how I loved The Circle by Dave Eggers? I thought it was a most excellent imagining of what could happen to the world if we’re not careful with the direction that social media is taking. It was a big ol’ beast of a book though so I can’t blame you if you wanted to wait for a more portable edition. Your time has come. Finally, Harper Collins has done us the massive favour of publishing Jonas Jonasson’s brand new book, The Girl Who Saved the King of Sweden in paperback right off the bat. I loved his debut novel The 100 Year Old Man Who Climbed Out the Window and Disappeared (so did millions of others around the world) and I’m so very excited to crack this baby. Even though technically I’m on a book buying ban, my other half wasn’t there to see me so it totally doesn’t count. There you go! A list of paperbacks to inspire some book cravings; you know you want to. I just finished reading The Dinner for the second time. I think this is one of the first times that I’ve re-read a modern book. I re-read Austen or Bronte all the time, but a modern novel? That doesn’t happen very often. 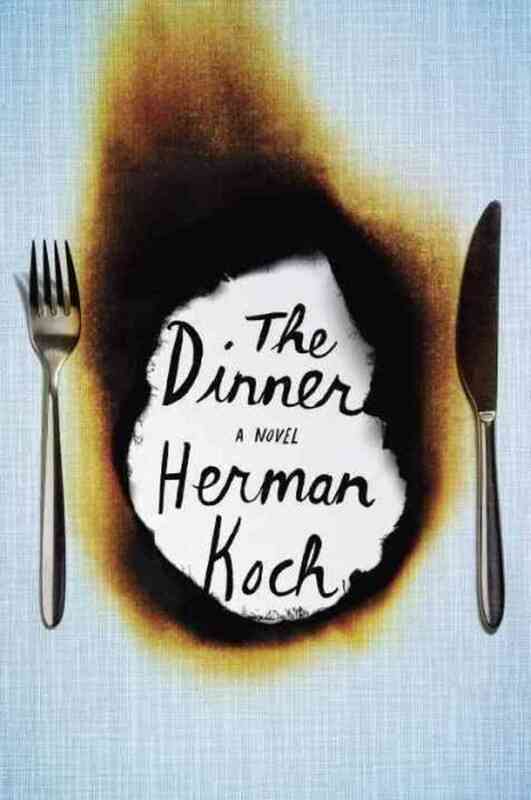 I first read Herman Koch’s The Dinner last summer. 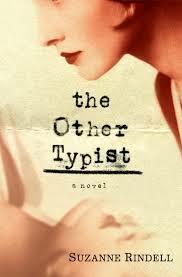 I had heard great things about it; it was hailed as the European Gone Girl. It had recently been translated from the original Dutch and takes place in Amsterdam- there was no way I wasn’t going to read this. So I read it last summer and then I had no one to talk it over with. Months later, I hosted book club and as the ladies were perusing my bookshelves, The Dinner was taken down and I couldn’t help gushing about how great it was, how messed up and that I had wanted to talk it over with someone ever since. But no one had read it. It became our next book club book. I think I enjoyed it more the first time. But only because the first time, in an effort to take in the whole story and all the characters, I was only able to do a surface read. The second time, I was able to understand the characters better, and I didn’t love them. Paul and Claire Lohman are on their way to have dinner with Paul’s brother Serge and his wife Babette. The couples are having dinner (at a fancy Amsterdam restaurant) to discuss their two teenage boys, Michel and Rick. The boys have clearly done something but you don’t know what it is until about half way through the book. Paul arrives at the restaurant ready to pick a fight – he’s annoyed that he has to pay 10 euros for an appertif after the manager makes it sound like it’s on the house. His brother, Serge, waltzes in like he owns the place. He is the favoured candidate in the ongoing Dutch election which further complicates their relationship. Over dinner the pieces of the puzzle start to fall into place. Paul remembers the past 11 years by revisiting significant moments: the time his employer suggested he see a psychiatrist, the time his wife was in the hospital for a significant amount of time and Serge and Babette came by to take Michel to stay with them, the time his son came home and told him about the neighbour down the street that invited the boys on the block to come into this home and listen to records. As the story unravels and you sort of realize what Paul is (as the narrator, Paul refuses to ever go into specifics because that stuff is private and he doesn’t understand why everyone has to make everything so public all the time) and what his son has done, the story shifts to how best to handle it. Paul and his brother have very different ideas of what the next steps should be. I remember reading it the first time and kind of agreeing with Paul about what the best way to handle his son’s future was. This time I was horrified by it and was hard pressed to find a redeeming character in the whole thing. That doesn’t mean I didn’t enjoy it the second time – I did. It just means that this reading experience was really different from the first one and that surprised me. One thing is for sure – this little novel packs a big punch leaving us with loads to discuss at book club next time. PS The Dinner was recently released in paperback.